Most graduate students in psychology are familiar with behaviors that reinforce anxiety — namely, avoidance, the use of safety behaviors, and reassurance seeking. Yet how many of us consciously apply our knowledge to help us understand our own adaptive and maladaptive behaviors as graduate students? Our perpetual state of over-commitment propels us into habitual behavior, and our focus on the final product rarely allows us to reflect on our experience as graduate students. Here, I delineate the common obstacles I have encountered as a graduate student and offer empirically supported coping strategies. As an undergraduate student, I was desperate to accrue as much research experience as possible, whereas now I am more selective about the projects to which I commit. The shift toward setting limits required me to answer a very practical set of questions for determining whether another commitment was feasible. Assuming that the project is interesting and in line with my career goals, I ask myself the following questions: Is it realistic for me to devote at least 2 hours to this project each week over the next 3 weeks? If the answer is no, then it is unlikely that I will be able to commit the time and energy necessary to make a valuable contribution to the project. Second, are there any circumstances that could reduce my availability for this project in the foreseeable future? If my answer to this second question is no, then I may decide to take on the responsibility. If I have determined that I will not take on a project, I monitor my thoughts and use mindfulness strategies to prepare myself for setting a boundary. What do I predict will happen when I say no? Is that prediction realistic? It is also important to feel confident in your strategy for effectively communicating your boundaries. When I find it challenging to say no, I refer to Marsha M. Linehan’s* 1993 skills-training manual. Her skill-building exercise “DEAR MAN” helps me remember that the discomfort of setting boundaries ultimately will decrease as time spent on meaningful projects increases. When you are already overcommitted, you may procrastinate because you do not know where to begin on a project. Behavioral research suggests that humans are not alone in their tendency to delay work — animals take breaks called “postreinforcement pauses,” which are directly proportional to the amount of work needed to earn another “reinforcer” or reward (Felton & Lyon, 1966). Take the first step in correcting the downward spiral of procrastination by noticing it. Increasing mindfulness of one’s behaviors when feeling overwhelmed can be remarkably informative. Do you find that, when you feel overwhelmed, you search social media, read about sports or celebrity gossip, or watch television to “numb out”? Just noticing that the behavior occurs is the first step of a functional analysis to better understand the behavior. Another step is determining which activities or people naturally enhance mood and strategically scheduling time to reinforce your work with these pleasant events (Premack, 1959). Third, notice the times of day when your productivity is highest and schedule tasks that are likely to contribute to feelings of being overwhelmed during these time windows. Hold yourself accountable to keeping that commitment as you would to keeping any other. Although graduate school has its challenges, many of us anticipate graduation with both excitement and trepidation. Securing a career in psychological science is no easy feat, and many students report self-doubt about their ability to ultimately accomplish this goal or other career goals. These doubts tend to take two forms: underestimating the likelihood of success and catastrophizing (i.e., envisioning the worst-case scenario on the job market). 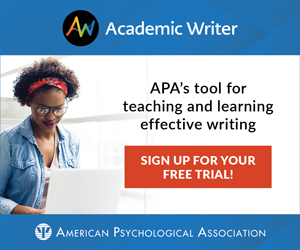 Students who fret about their careers may benefit from “exposing” themselves to their own worst-case scenario, a technique used in imaginal exposure therapy for generalized anxiety disorder (Leahy, 2004). After we repeatedly expose ourselves to a feared outcome in great detail, we can generate coping mechanisms to employ if that dire scenario comes to fruition. Recount strategies that you have used to cope with prior trials and tribulations. In addition to using cognitive restructuring techniques to decatastrophize, it may be helpful to consider the odds that you will be able to achieve your career goal. Have students in your program achieved a similar goal? Does your research advisor think your career objective is realistic? Finally, an alternative method of coping with concerns about an uncertain future is noticing the concern and behaving in a values-consistent manner, a strategy promoted by “acceptance and commitment therapy” (Hayes, Strosahl, & Wilson, 1999). Is it possible for you to have anxiety about whether your manuscript will be published and still complete your revisions? Can you simply notice the anxiety while working to meet your goals? These are important skills for moving your career forward in the face of self-doubt and concerns about your future. Whether presenting at a conference, teaching a class, leading a therapy group, participating in a faculty meeting, or giving a job talk, public speaking is an integral part of most academic positions. Many people struggle with concerns about public speaking, and those in academia are no exception. Principles from exposure therapy may help students combat these fears. (See Craske, Liao, Brown, & Vervliet, 2012, for a review of exposure therapy.) Practice public speaking in as many contexts as possible, whether this means signing up for a symposium, volunteering to provide a guest lecture, presenting in a lab meeting, or joining a communication-development group such as Toastmasters (“Toastmasters International,” 2014). Notice any “safety behaviors” that you engage in to reduce your anxiety about the speech, such as over-preparation or not making eye contact during the speech, and try to remove them from your repertoire. It is near impossible to have an academic career without being willing to speak in front of audiences, and, therefore, public speaking is an essential skill to hone while we are still students. *Marsha M. Linehan, a recipient of the 2014 APS James McKeen Cattell Fellow Award, will deliver an award address on “Suicide: Where We Are, Where We’re Going, and What’s Keeping Us From Getting There” at the 2015 APS Convention in New York City, May 21–24. Craske, M. G., Liao, B., Brown, L., & Vervliet, B. (2012). Role of inhibition in exposure therapy. Journal of Experimental Psychopathology, 3, 322–345. Felton, M., & Lyon, D. O. (1966). The post-reinforcement pause. Journal of the Experimental Analysis of Behavior, 9, 131–134. Hayes, S. C., Strosahl, K., & Wilson, K. G. (1999). Acceptance and commitment therapy: An experiential approach to behavior change. New York, NY: Guilford Press. Leahy, B. (2004). Cognitive behavioral therapy. In R. G. Heimberg, C. L. Turk, & D. S. Mennin (Eds. ), Generalized anxiety disorder: Advances in research and practice (pp. 265–292). New York, NY: Guilford Press. Linehan, M. M. (1993). Skills-training manual for treating borderline personality disorder. New York, NY: Guilford Press. Premack, D. (1959). Toward empirical behavior laws: I. Positive reinforcement. Psychological Review, 66, 219–233. Lily Brown is a graduate student at the University of California, Los Angeles, in the Learning and Behavior and Clinical Psychology areas. She can be reached at lab55@ucla.edu.